At Temple Meadow, we strive to instil a love for reading in all of our children. 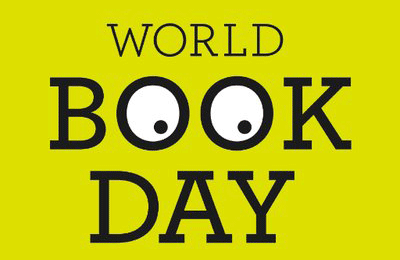 As such, we are once again taking part in World Book Day, on Thursday 7th March 2019. Our theme this year is comic books and we encourage children to come to school dressed as their favourite comic book character. During the day, classes will be creating their own comic books, and children will find out all about their teacher’s favourite books. We are also actively promoting the SHARE A STORY FOR 10 MINUTES TODAY campaign to get everyone sharing stories from breakfast to bedtime on World Book Day and beyond. • Find 10 minutes on World Book Day and every day to read with your child. It doesn’t just have to happen at bedtime – reading and sharing stories can happen anywhere at any time. • Visit your local bookshop & help your child choose their FREE World Book Day book with their £1 book token, which will be distributed in school on World Book Day. • Why not play the fun Are You A Share A Story Reading Star? game with your child, play online or download a copy of the game at www.worldbookday.com/reading-stars and have fun collecting your stars and discovering all the exciting ways you can share stories together. Thank you for continuing to support us in engaging our children in reading, we look forward to seeing their comic book character costumes!